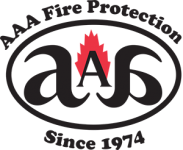 AAA Fire Protection Services is a veteran business that provides expert fire protection and fire suppression services to Fairfield businesses and businesses throughout the North Bay. We are a family-owned business and are comfortable working with businesses of any size. We provide expertise in translating complex state, federal, and local protocols for fire suppression and fire protection equipment required by businesses. We work with general businesses and businesses in specialized industries. Within the automotive industry, for example, we install paint booth fire systems, which is a requirement of that industry. We also install, service and maintain Ansul fire systems and provide emergency light installation services at affordable rates. The AAA Fire Protection Services team provide ongoing monitoring and testing of fire protection equipment. Our emergency light service schedules regular emergency light testing and emergency light repair services wherever a problem is found. In addition, we provide the correct documentation and data that satisfies governmental agencies such as OSHA. We make it easy for you to stay in compliance. How can we help you?